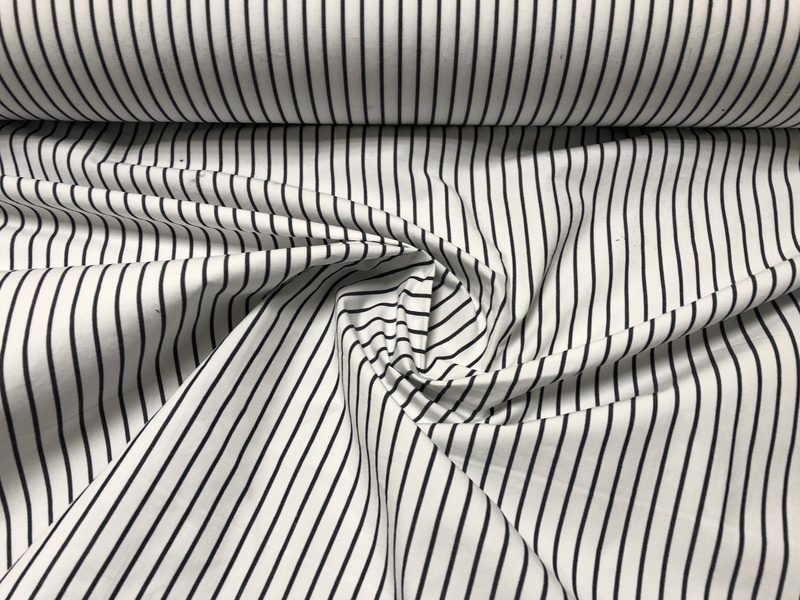 100% Cotton, a Classic White with Dark Navy Blue stripe, heavy weight, perfect for a dress, skirt, pants but suitable for a top or light weight jacket. 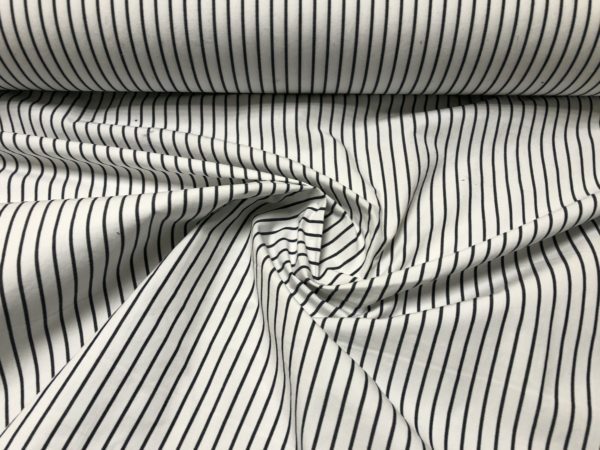 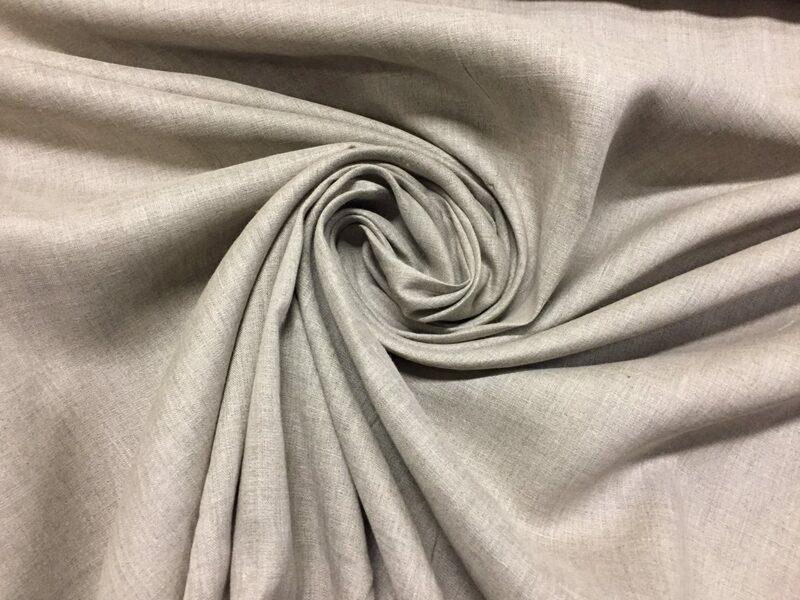 Use it as you would any bottom/dress weight woven or shirting, 46″ wide. 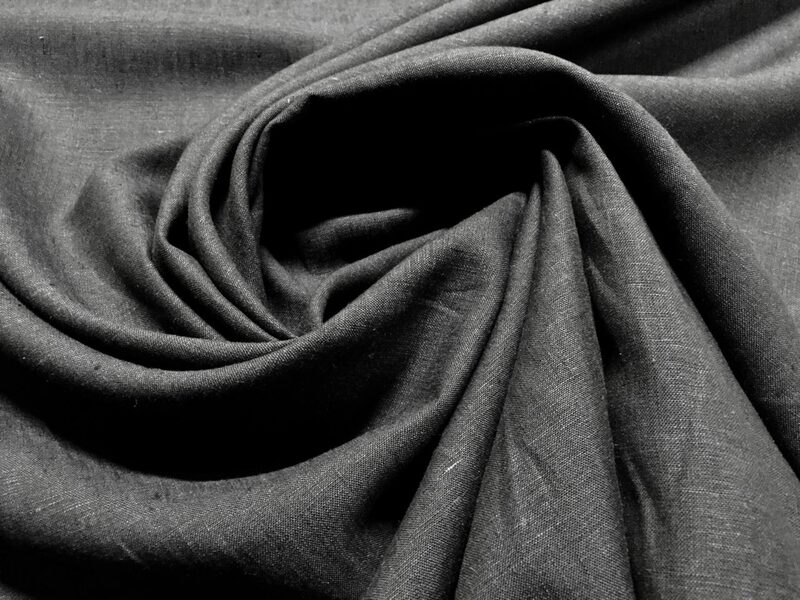 A dense hand, some softness, stiffer.